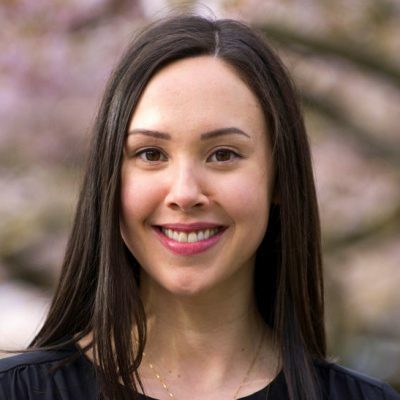 Jennifer is passionate about sharing the many benefits of acupuncture and Chinese Medicine. Her mission is to help people feel better and provide compassionate care that works. Her love of Chinese medicine began as a child. Jennifer’s favourite thing to do was watch her mom and grandma in the kitchen and help whenever she was allowed. This first-hand exposure to Chinese tradition showed her the beautiful way in which Chinese culture melds the practice of health cultivation with daily life; in a way that is practical and accessible for all. Jennifer was in a serious motor vehicle accident at 15-years-old resulting in a traumatic brain injury. She required an induced coma and recovery in the ICU. After a few months of conventional treatment, she found that it wasn’t enough to resolve her lingering symptoms. This is when she made the decision to try acupuncture. She made a full recovery soon after beginning acupuncture treatment. At this young age, she decided to become an acupuncturist. Along her path to becoming a well-rounded practitioner, she completed post-secondary studies with a focus in Asian philosophy, biology, and psychology. After which, she went on to receive her Diploma of Acupuncture at Pacific Rim College, and registered with the Canadian College of Traditional Chinese Medicine Practitioners and Acupuncturists of British Columbia (CTCMA). Jennifer’s areas of focus include, pain management, neurological, and orthopedic conditions. She also has a strong interest in neuroacupuncture, which combines traditional acupuncture techniques with modern knowledge of the neuroanatomy and physiology. By using specific acupuncture points on the head, neuroacupuncture can regulate the brain and nervous system, and achieve wonderful results with many neurological disorders. The personalized nature of Chinese medicine allows her to combine acupuncture, cupping, Chinese massage, infrared heat, dietary suggestions, and lifestyle counselling in a way that will provide each person the most benefit. During time away from the office, you will most likely find Jennifer exploring the beaches and forests of Vancouver Island with her boston terrier, cooking and experimenting with traditional foods from different cultures, or meditating with a cup of tea.